drug | Live Healthy S.C.
After birthdays and holidays, once new televisions, new PS4s, new Xbox Ones, new computers, new sound systems and more settle in, the old ones tend to be done away with. In response to the Hardeeville area’s budding population, Coastal Carolina Hospital is moving forward with a plan to build a $15 million freestanding emergency department. The proposed 10,000-square-foot facility will operate 24 hours a day, 365 days a year and will feature 12 private treatment areas, including one trauma treatment room. During an infectious disease prevention webcast Tuesday, the Centers for Disease Control and Prevention (CDC) said the key to preventing the spread of hepatitis C is greater access to prevention services. The CDC said access to safe injection equipment and treatment for drug addiction can lower transmission risks by more than 70 percent. This entry was posted in Environment, Health Regulation, Prevention, Public Health and tagged addiction, Aiken County, Bluffton, CDC, Centers for Disease Control and Prevention, Coastal Carolina Hospital, computers, DHEC, drug, e-wase, electronics, emergency department, emergency room, Environment, Hep C, Hepatitis C, injection, Keep Aiken Green, prevention, Recycling, SCDHEC, South Carolina Department of Health and Environmental Control, syringe, televisions, trauma treatment room, TVs, Xbox on April 19, 2018 by SC DHEC. Flu activity in South Carolina is considered to be regional, not widespread, for the first time since the flu began sweeping the state in the beginning of the year, the Department of Health and Environmental Control reported Wednesday. Though influenza has been on the decline for a few weeks after a difficult season, the first week of March saw only 2,192 confirmed cases. There were almost three times that amount the week before, with 6,332 cases. Over the course of what’s been an especially difficult flu season, there have been more than 200 deaths in South Carolina. But a new flu report shows the flu is slowing down in our state. The Orangeburg Department of Public Safety is preparing its officers for the growing opioid problem, Chief Mike Adams said Tuesday. “Drug overdose is currently the leading cause of accidental death in the United States with 62,497 lethal drug overdoses in 2016 for an average of one every eight and a half minutes,” Adams said. “It took a while to get here to Orangeburg, but it’s here,” he said. This entry was posted in Prevention, Public Health and tagged deaths, DHEC, drug, flu, hospitalization, Influenza, medication, narcan, opioids, Orangeburg, Orangeburg Department of Public Safety, overdose, SCDHEC, shots, South Carolina, South Carolina Department of Health and Environmental Control, vaccine, widespread on March 8, 2018 by boltonws. The CDC recently sounded the alarm on a growing epidemic in our country: the over-prescription of opioid painkillers. According to the CDC, American health care providers wrote 259 million prescriptions for painkillers in 2012, enough for every American adult to have a bottle of pills. From a public health perspective, this is a serious concern as higher prescribing of pain killers is associated with more overdoses and deaths. Here in South Carolina, 102 prescriptions for painkillers are now written for every 100 residents, and more than 200 people die each year from accidental prescription drug overdose. All of these deaths are avoidable. Most are caused because people are able to shop for painkillers by contacting multiple pharmacies and physicians to receive separate prescriptions for the same drug. 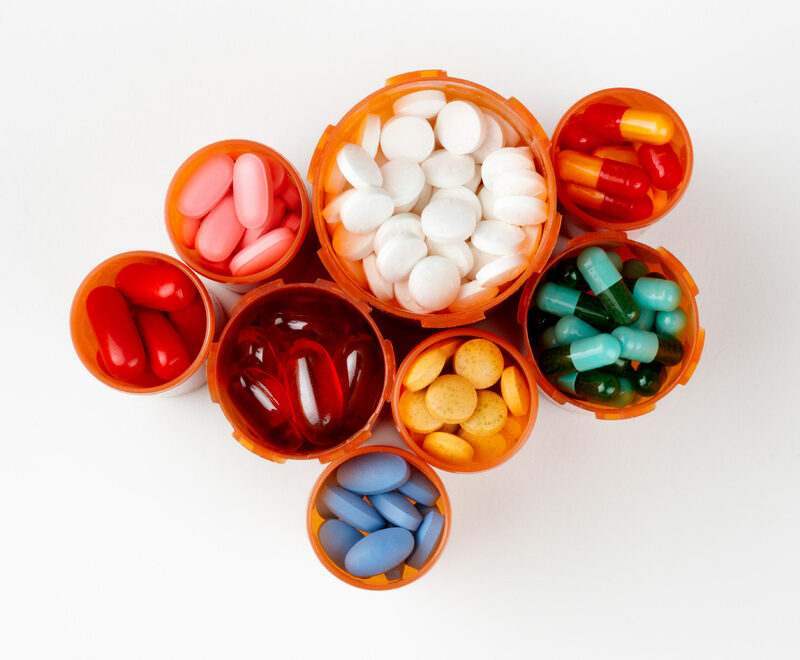 To combat the problem, DHEC is working with health care providers and pharmacists across the state to increase the number of prescribers utilizing our enhanced prescription monitoring program known as SCRIPTS. Run by our Bureau of Drug Control, this voluntary, online database makes it easier for South Carolina doctors and pharmacists to identify and report potential prescription drug abuse. This entry was posted in Health Regulation, Prevention and tagged drug, pill mills, prescription, prevention, statistics on August 1, 2014 by SC DHEC.